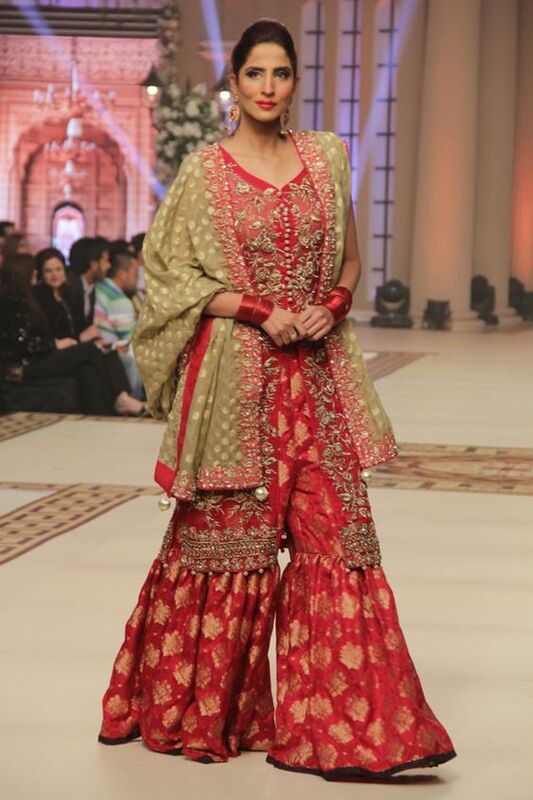 Sharara is a dress that is worn by Asian bridals, Pakistani brides more specifically. 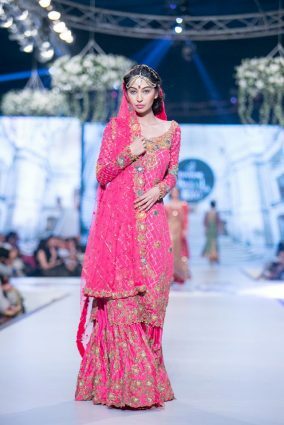 It was once a trend, and now again it is becoming popular among bridals again in a fascinating way. 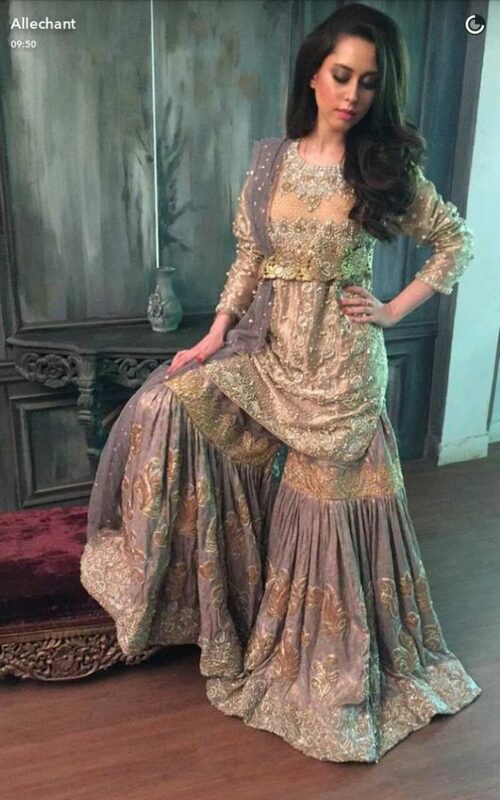 The origin of this dress is from Lucknow, as this dressing was so common there throughout the epoch of Nawab. Not only bridals but young teenagers of India and Pakistani wear Sharara at different events. Because these days designers have made it so much trendy by designing it in various stunning ways and unlike before there is so much betterment in stuff now. 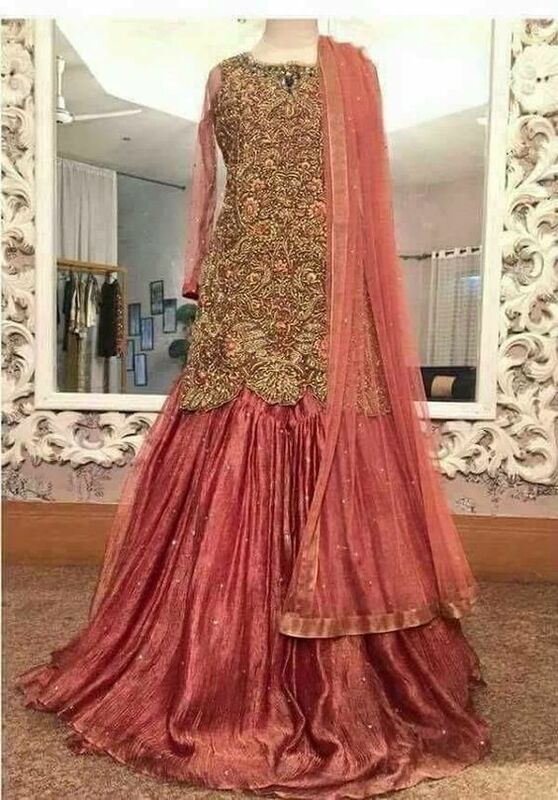 Sharara is a bottom wear that is fitted with a top of legs to bottom, presently looks like trousers but this ankle length bottom wear is different from lehengas and trouser in various ways. 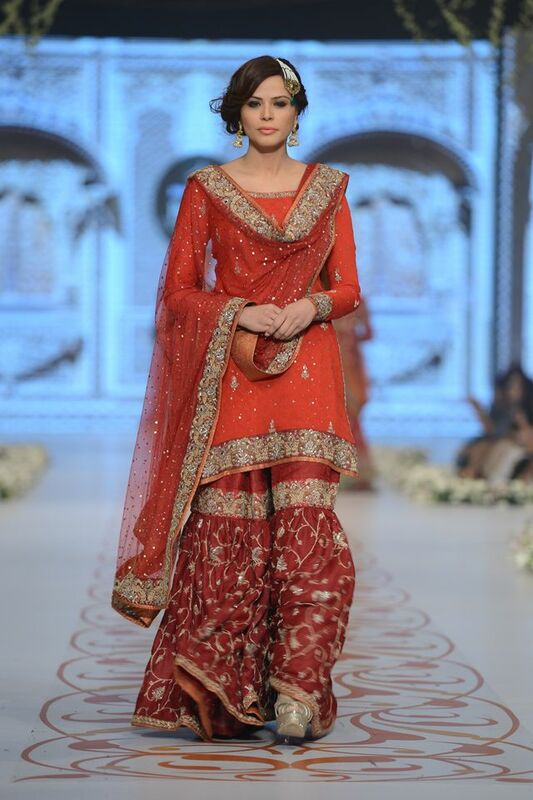 Today we will discuss the Latest Wedding Bridal Sharara Designs & Trends! 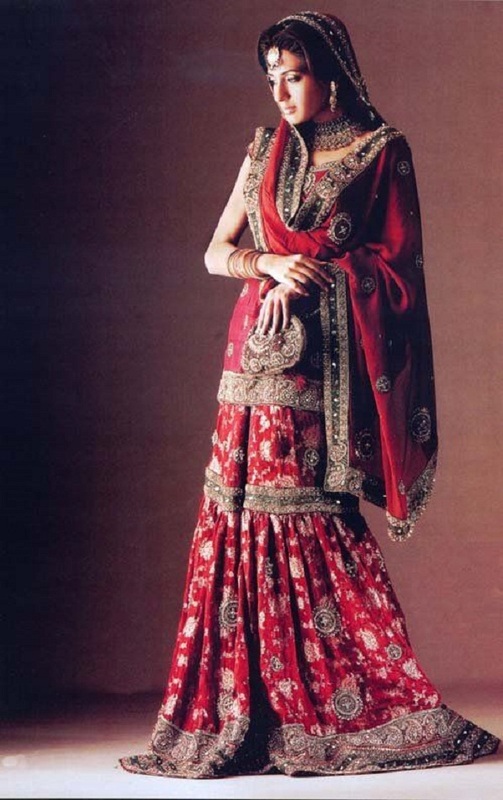 Sharara is paired up with choli or kurta along with dupatta. One cannot call it Patiala salwar because its plates start from knee and end at ankle giving a very cute, slim and beautiful look. In India, it is worn by women in routines, but in Pakistan, it is dressed at events. 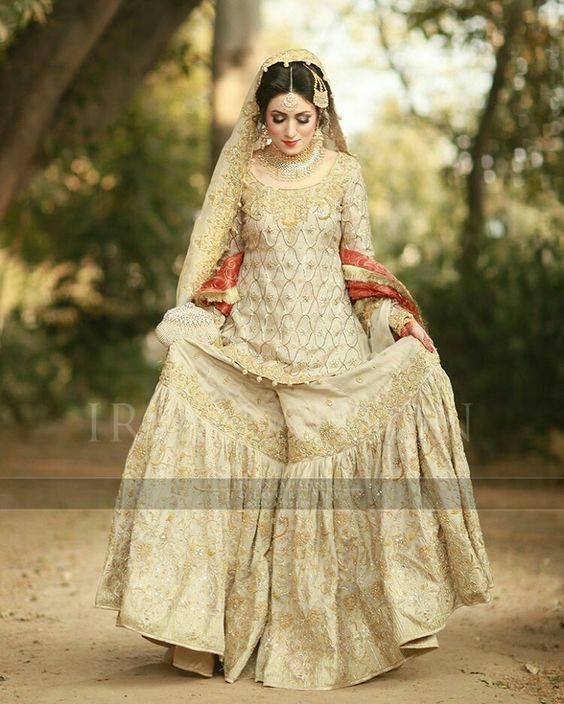 Eid events, parties, wedding functions are incomplete without this cute dress. 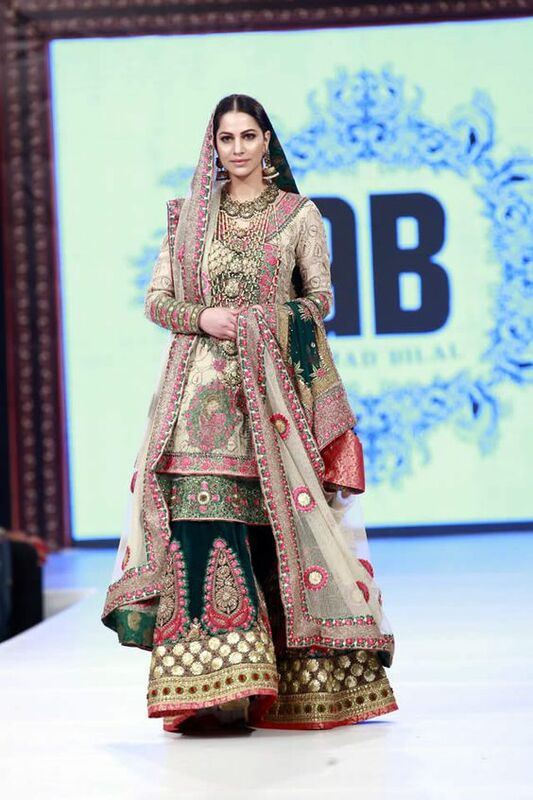 Choli Sharara is much popular among brides, but these days it has earned fame among other beautiful girls attending the wedding too, of course not in the same way as the brides do. 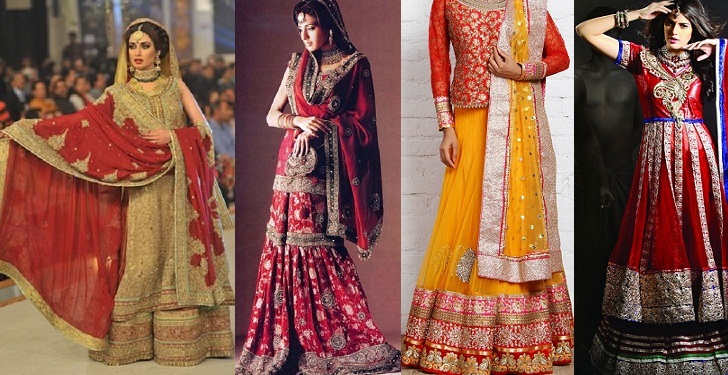 Though it is famous around the globe, Pakistan and India are the countries where it is very popular as ghagra and sharara lehengas were first introduced in this region of the world. 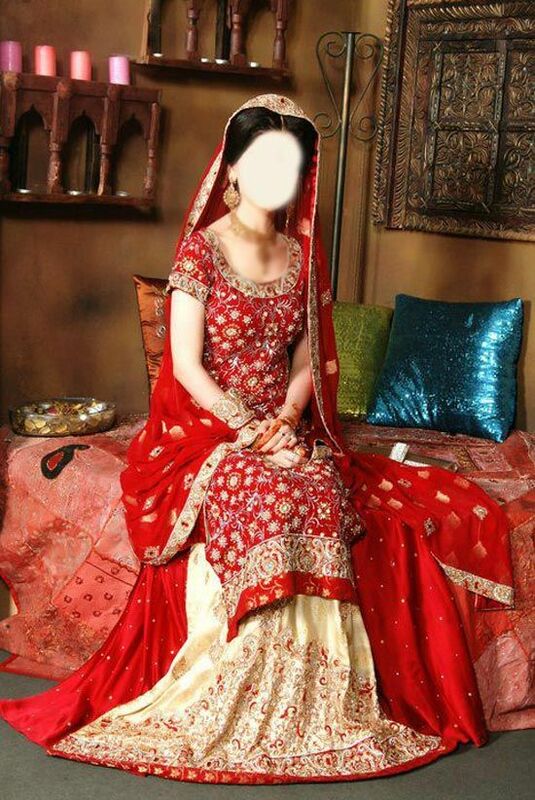 The wedding is the time when people like to follow their cultures and traditions and hence perform rituals according to the traditions of their religion and culture; a dressing is also one of it. 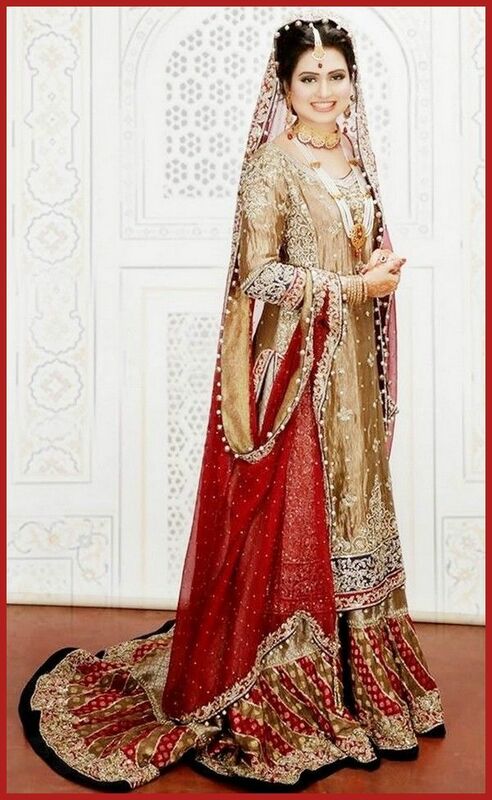 Especially brides, who are the centre of attention by everyone, they want to look unique and pretty along with wearing traditional attires, they want to wear ethnic, beautiful and colourful stylish outfit that is why our designers have presented bridal wear sharara with choli dresses in the prettiest ways than ever. 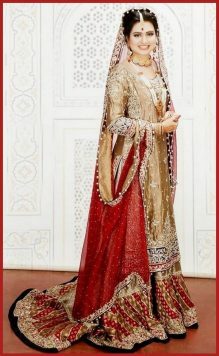 So, let’s make this hard choice an easy one by showing you the latest wedding sharara dresses trends. 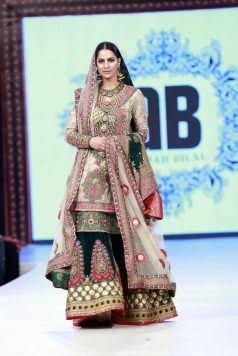 If your wedding is going to held in winter than the best option according to the most recent fashion is velvet choli along with sharara, embroidered with stones and embellishments. Furthermore, these images will help you get the whole style. 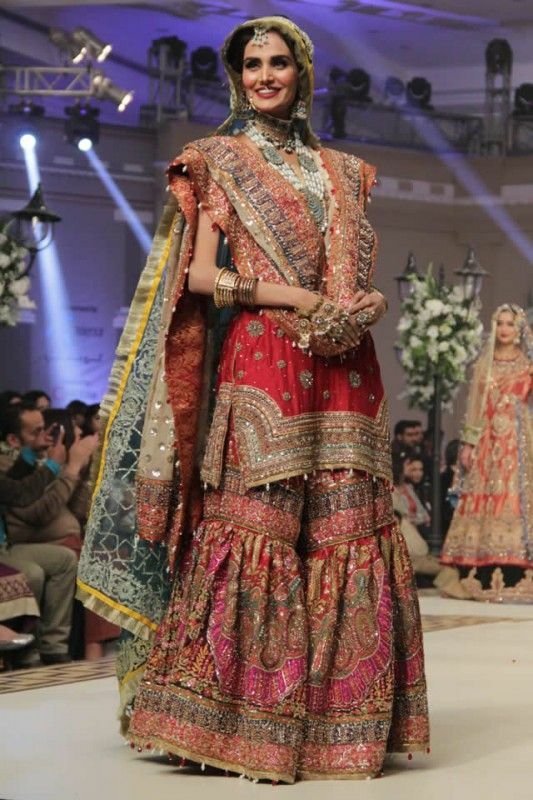 Have a look at the below posted latest wedding bridal sharara designs! 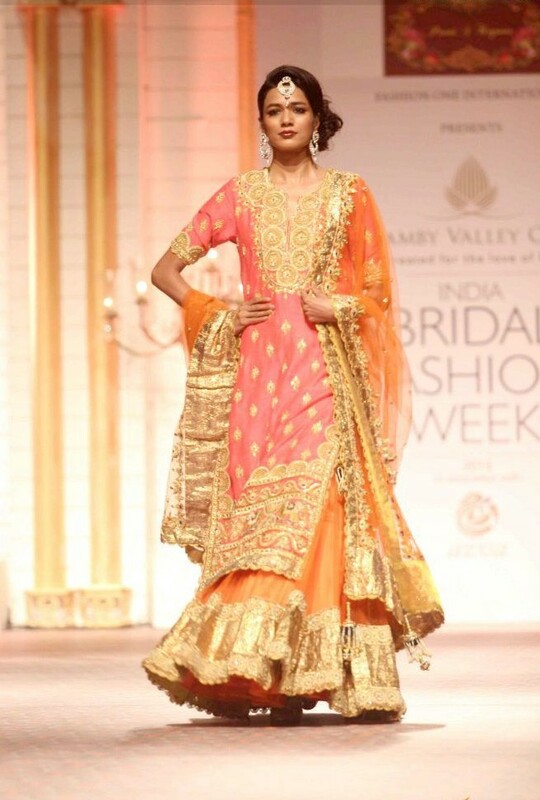 The Indian wedding trends keep on changing and repeat itself after some time. Shararas with long shirts are introduced and sometimes the short kurtis type shirts, cholis and kurtas are paired with bridal shararas. Here we have posted a wonderful collection of bridal shararas consisting of different kinds and colour combinations like red, pink, green, blue, maroon, etc. 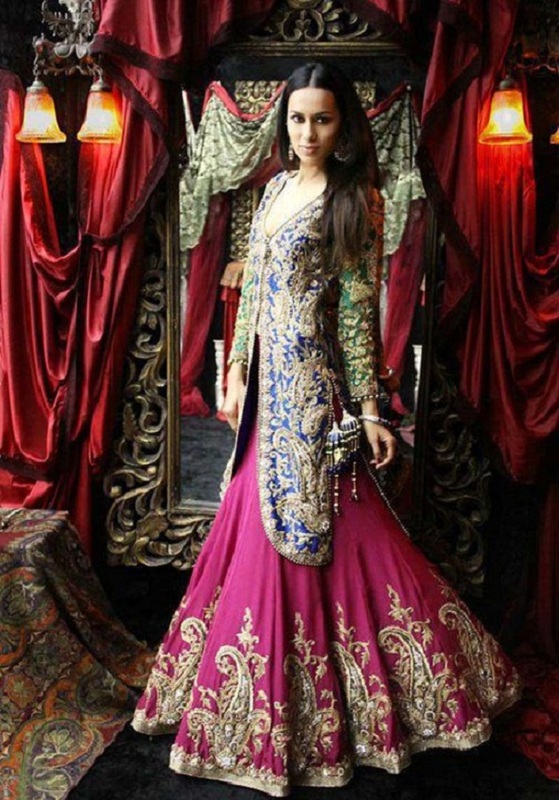 Top Indian designers like Manish Malhotra, Ritu Kumar, Rohit Bal, Tarun tahiliani, etc. 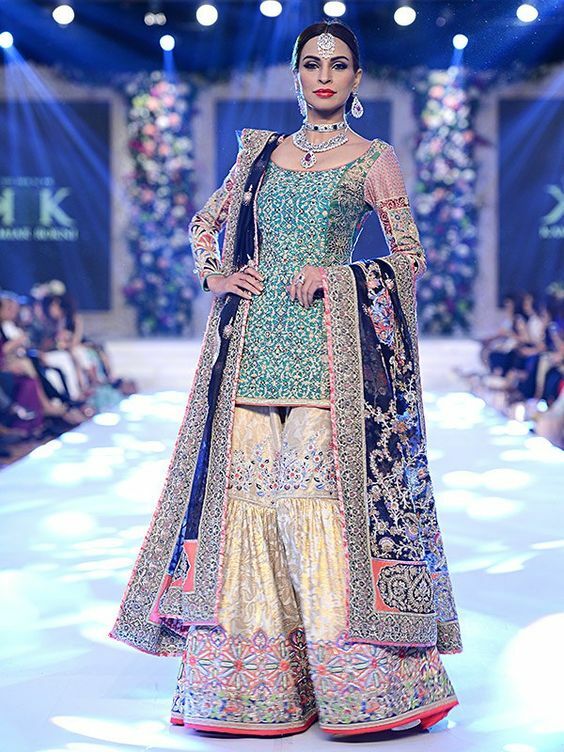 have presented these awesome designs of wedding bridal sharara dresses this year with the use of modern festive hues and fancy embroideries. 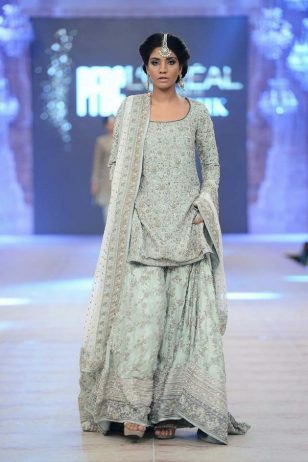 Nowadays in Pakistan Long Double shirt Shararas are more seen in fashion. They look so trendy and gives a traditional taste to weddings. 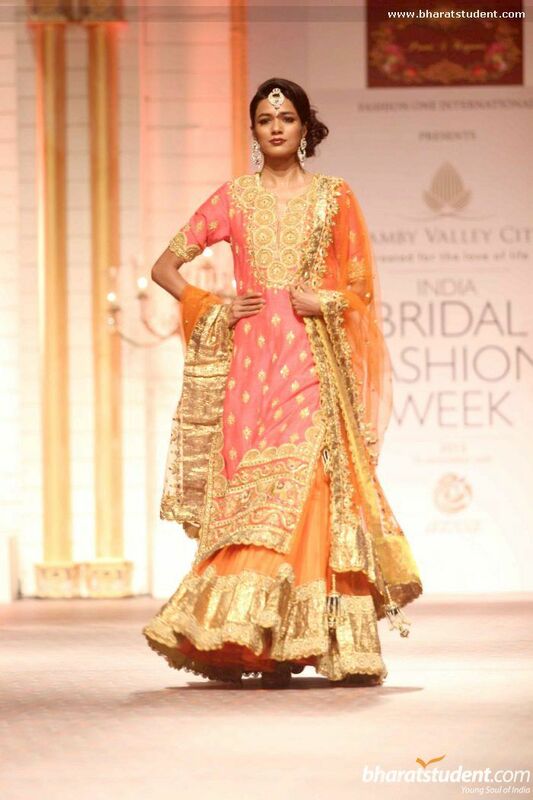 Other than this lehenga shararas paired with short kurtis are also in trend. Colours like peach, beige, off white, light pink, dust, green, cream, red, etc. are seen. 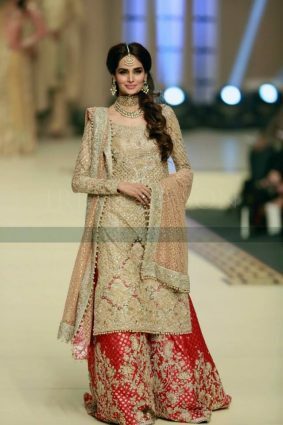 This collection contains the different variety of bridal wedding sharara dresses in delicate embroideries and adornments. 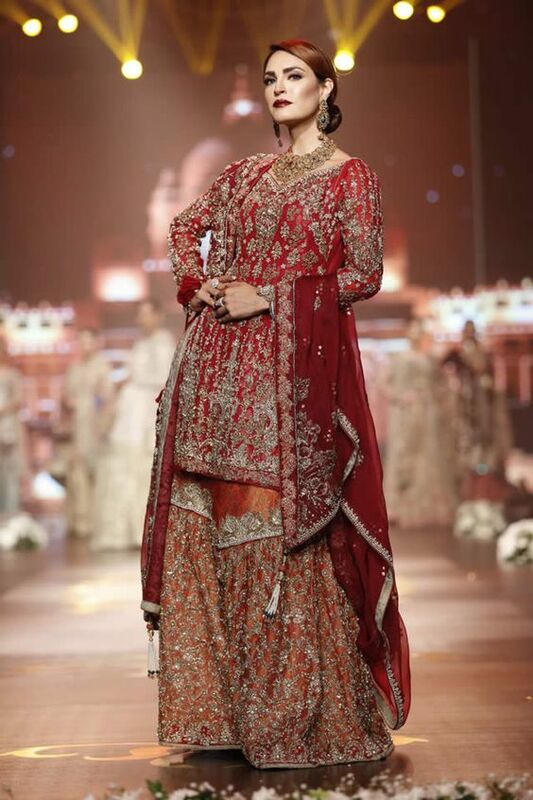 Zari work, motifs, dabka, sequin, tilla work and distinct embellishments are done on these fancy sharara dresses. Top Pakistani designers like Nomi Ansari, HSY, Nida, Fahad Hussayn, Tina Durrani, etc. have introduced these latest designs. Have a look at the below posted latest wedding bridal sharara designs.